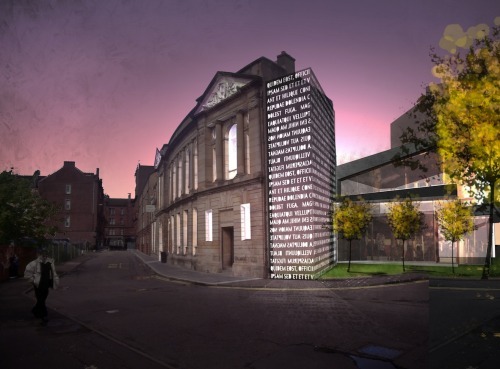 Collective Architecture won a limited competition in June 2012 to carry out an internal fit out, external improvements and new extension to the Category B listed library in Bridgeton, Glasgow for Glasgow Women’s Library. The library is one of seven “Carnegie” libraries donated to the city and was built in 1903. It is a local landmark for the area: grand in appearance with feature bays, intricate ornamentation and beautifully carved statues. 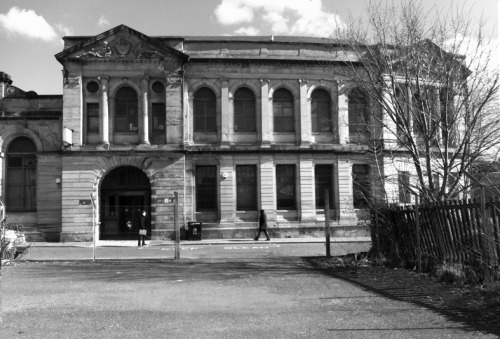 The Bridgeton Library became available to Glasgow Women’s Library when the local library moved out and into its new premises in the Olympia at Bridgeton Cross. Local regeneration agency Clyde Gateway are project managing this transition and recognise the importance of changing perceptions and fortunes of the local community. Glasgow Women’s Library provides a major resource for the City of Glasgow, Scotland and beyond. Their reputation extends nationally with a growing membership and volunteer team. Their archive collection has steadily expanded with items on display for public view and has gained growing importance through its accredited museum status. The Women’s Library organises major events such as film screenings, talks and exhibitions. Their efforts extend locally providing a range of support services including adult literacy classes and one to one learning. Collective Architecture and the design team have worked closely with the Women’s Library to develop a phased strategy for their relocation from Glasgow’s Mitchell Library to the existing Bridgeton Library. 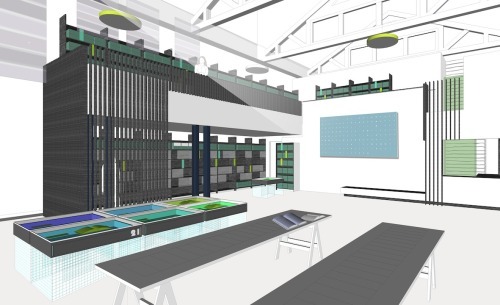 The design strategy involves a reading area and mezzanine within the former Main Reading Room resting above a kitchen, informal meeting areas and displays/exhibitions. A new archive and storage area will house the permanent collection with workshops space and office areas to ground and first floor. Access between levels has been provided via a new glass and metal encased lift tower etched with text. Sympathetic external improvements and lighting proposals will be undertaken to extend the building’s useful life and bring it back to its former grandeur. The Women’s Library are running the Glasgow 10k this Sunday to raise money for the project, you can support them online here.